The Colorado Springs Western Street Breakfast is one of Colorado Springs’ most iconic celebrations of its deep-rooted western heritage. The Street Breakfast has also become an annual fundraising event that supports our local military and their families. 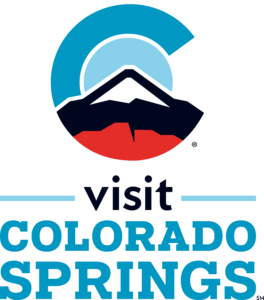 The next event takes place on Wednesday, June 19, 2019 – 5:30 to 9 a.m. – Downtown Colorado Springs at the intersection of Pikes Peak Avenue & Tejon Street. Mark your calendar and set your alarm for early morning so you can join us for this fun, festive and family-friendly event. We close down the streets, bring out the hay bales and cook up a tasty, hot breakfast for you to devour while you listen to the renowned Flying W Wranglers as well as the country/rock band Exit West and the talented students from the Colorado Springs Conservatory. The Sweetwater Native American dancers will thrill and amaze with their authentic dress and dances. Do you and your kids love to dress up in western wear? Pull out your cowboy hats, boots, jeans and bandannas (or other kinds of costumes) to celebrate the start of the Colorado Springs rodeo season with the 71st Annual Lil’ Cowboys and Cowgirls Round-Up. Your fancy duds will get you in the right frame of mind to enjoy a morning full of western fun and you may even win a ride on the Western Spirit float in the Pikes Peak or Bust Rodeo Parade in July. Pikes Peak Range Riders and Rangerettes depart on horseback at 8 a.m.
Watch the video and mark your calendar for June 19, 2019! Commercial photography is permitted for credentialed and approved media only. It is prohibited in all other circumstances. All rights belong to Colorado Springs Western Street Breakfast. Colorado Springs Western Street Breakfast reserves the right to use photos taken at the event in social media and in future marketing and advertising. The Pikes Peak Range Riders Foundation hosts the Colorado Springs Western Street Breakfast. © 2019 - Colorado Springs Western Street Breakfast. All rights reserved.